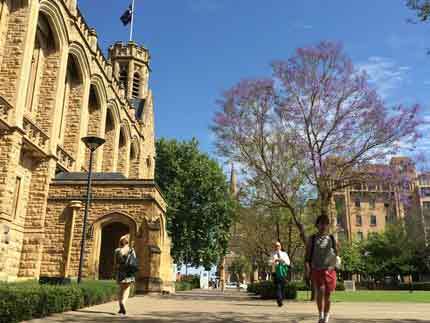 We are one of Australia's most prestigious universities and are renowned internationally for excellence in education and research. The Faculty of Engineering, Computer and Mathematical Sciences provides high quality teaching and research in strategically chosen areas of Engineering, Computer Science and Mathematics. Graduates from this Faculty are highly regarded by employers and have been successful in a variety of areas. The academic staff of the Faculty are world leaders in their disciplines, staff who actively contribute to real-world problems through consulting and advanced fundamental and applied research. The Faculty has close links with industry, and its research is well supported by grants and contracts from both government and the private sector. 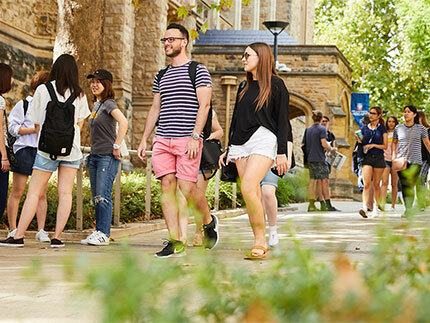 Many of its technological breakthroughs form the basis of independent companies with University shareholding or joint venture agreements with industry both in Australia and overseas. The Faculty of Health Sciences is focused on education excellence and innovative research which is reflected by the academics and researchers across our five Schools, Disciplines, Centres, and Institutes. Our strengths are the depth and dedication of our teams who work to promote better health, wellbeing and disease prevention in Australia and the world. With 3,000 students, 700 staff and 1400 participating clinical and affiliate practitioners, we have been educating successful students and producing relevant research for over a century. The Faculty of Arts actively conducts research in a number of interdisciplinary fields. In all cases the Faculty provides a comprehensive research training which underpins the success that Arts postgraduate students experience in building careers in academic, business, professional or government sectors. Supervision is available in the Faculty of Arts to support postgraduate students in areas as diverse as History, Creative Writing, Linguistics or Geographical Information Systems. Many postgraduate students hone their skills in social research, policy analysis, demography, or anthropological or environmental fieldwork. Challenging research is undertaken which extends theoretical and practical knowledge in a range of fields including cultural studies, postcolonial theories, philosophy, and labour relations. The Faculty consists of four schools (see below). Each school comprises key discipline groups which reflect the research activity of those groups. The Faculty consists of many schools and centres. Each of these comprises key discipline groups which reflect the research activity of those groups. 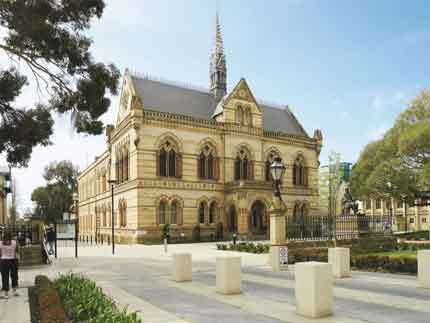 Research within the Faculty of Sciences is conducted at the University of Adelaide's city, Roseworthy and Waite campuses. The Faculty is internationally renowned for excellence in education and research in such fields as biomedical sciences, agricultural, environmental and earth sciences and is a leader in emerging fields such as photonics. The University has established a number of world-class research institutes in partnership with government and industry. The Institutes, comprising a research community of approximately 1200 staff and students, are a strategic convergence of worldleading researchers across many Faculties and Disciplines, who can be supported by modern infrastructure and an innovative culture. Although Research Degree students need to enrol with a specific Faculty and Division, supervisors who are affiliated with our Research Institutes and Centres will be able to offer their students considerable advantages, including international collaborative linkages, coordinated internal partnerships and exceptional facilities and resources. Focus: Management of natural resources under changing climate and economic conditions. Focus: Reproductive health, stem cell research and health across generations. Focus: Petroleum engineering, mining engineering, petroleum and minerals, geoscience and geothermal energy. 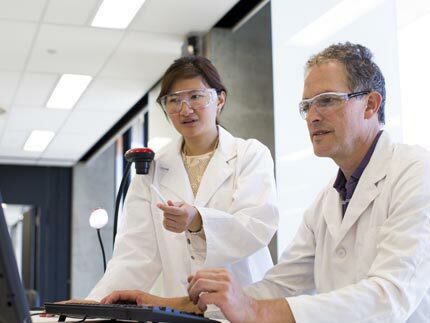 Focus: optical fibres, lasers, luminescence, surface chemistry, proteomics and virology. Focus: Plant and animal sciences, viticulture and oenology, agronomy, soil science and agricultural economics. The multi-disciplinary focus of our Institutes and Centres provides a collaborative platform for research partnerships across the University and with other research organisations. The University is also an active participant in Commonwealth-funded Research Centres - being the site of three National Research Centres and a participant in a significant number of Cooperative Research Centres. It is also home base for many specialist research centres and units in a wide range of disciplines. The full list of current Postgraduate Coordinators can be found on the Graduate Centre website. Each discipline has its own Postgraduate Coordinator. They oversee postgraduate activities and provide assistance, advice and support, where appropriate, in matters such as resolution of grievances, and provision of resources. Please contact the relevant Postgraduate Coordinator about any research interests you might have in a particular area.